Foldable mobile car garage is a special car garage to park your beloved car. 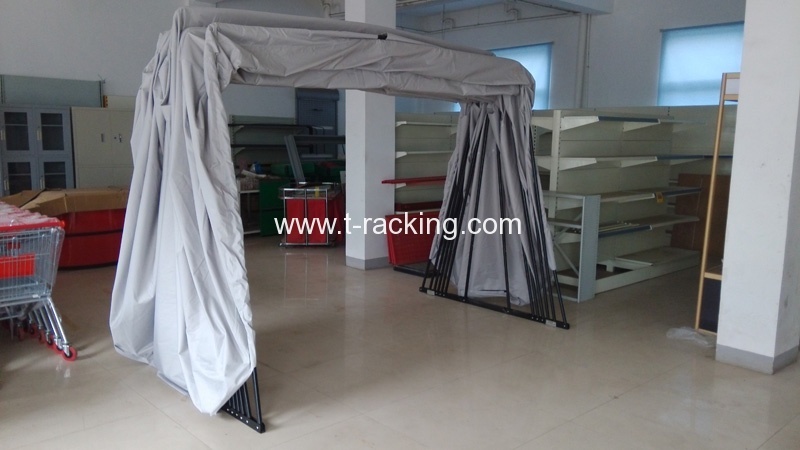 It’s also known as mobile car garage shelter, foldable all weather durable car tent and collapsible outdoor car cover tent shelter. Major components of Foldable mobile car garage are high strength steel tube construction and high-efficiency waterproof oxford fabric, stable and reliable. Foldable mobile car garage can effectively protect your car from sunlight, rain, dust, strong wind, prevent human injury (scratch) and other functions Foldable mobile car garage color and size can be customized to fit for all kinds of car in various places like apartment, villas, parking lot, factory, own yard and other places of any outdoor parking space. 1. Don’t worry about hot exhaust pipes melting fabric covers. 3. 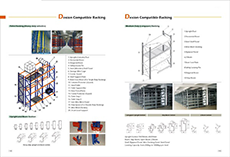 Steel tube construction for maximum strength. 4. Quick and flexible install maintenance convenient. 5. Aesthetically and have advantages in folding, when not in use Foldable mobile car garage can be removed and folded down to save your space. 6. Protect from the sunlight, snow and frost, UV resistant, waterproof, rustproof, windproof, dustproof, hail protection, and prevent human injury (scratch). 8. Available in 2 sizes can be available for most types of cars, your customized sizes available. 9. Breathable side vents allow natural convection to exhaust hot air from motor. 10. Any logo printing is available, can be used for commercial advertising and public service ads. Fabric Material: Water-proof oxford fabric 600D (blue). 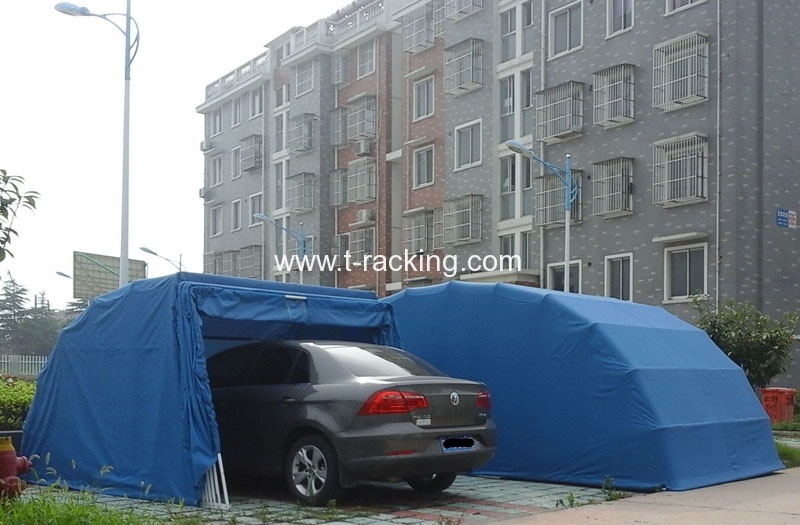 One of our customers has tested the foldable car tent under the hailstorm in Sydney.